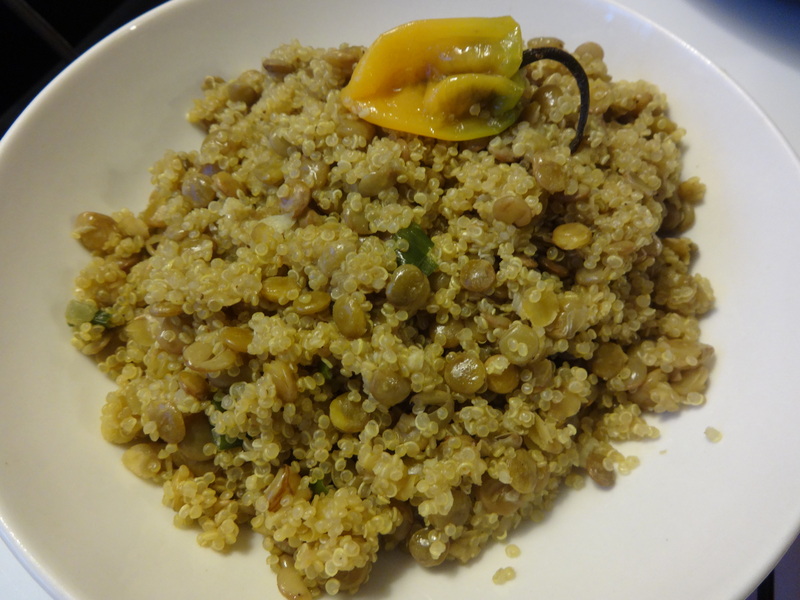 Quinoa is an ancient grain and is also one of the only complete plant-based sources of protein. It’s also gluten free. Thus, I’ve been trying to substitute quinoa for rice in as many things as I can think of — including in the Jamaican dish of rice and peas. 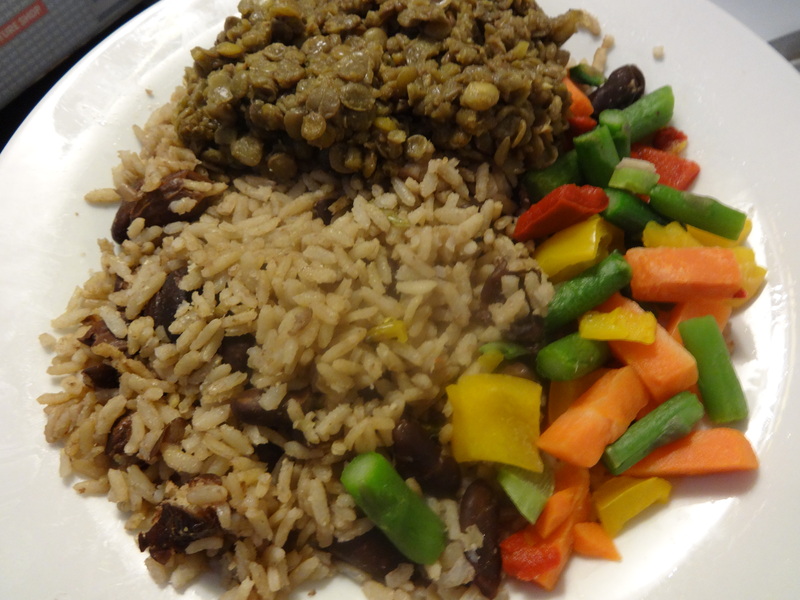 The green lentils act as a perfect substitute for gungo peas. The following is an updated, high-protein version of a Jamaican classic. It makes a great side dish. Rinse lentils. In a medium saucepan, cook the lentils (according to package directions) in the water with the scotch bonnet pepper (if using. You can cut it up if you want a spicier dish). When 15 minutes have elapsed and the lentils are still firm, add quinoa, coconut milk, green onion, garlic, and seasonings. Turn the heat to medium and let cook for another 15 minutes until lentils are fully cooked and water has been fully absorbed. Note: You can substitute brown rice for the quinoa. Cook the rice alongside the lentils (for a total for 30 – 40 minutes) instead of adding it half way through like we did with the quinoa.